Edward Flood was born on 24 June 1805 in Sydney, the illegitimate son of Irish convict Joseph Flood (1774-1808) and Ann Germaine (1778-1823). On 22 May 1826, at St James Church Sydney, he married Charlotte, daughter of former convict Reuben Hannan and his wife Elizabeth nee Hews. They had five sons and four daughters. His wife died on 5 May 1879 at Newtown and he entered into a liaison with Jane Oatley (d.1884). He died on 9 September 1888 and was buried in the Oatley vault in the Anglican section of Waverley Cemetery. Edward Flood was apprenticed as a carpenter. By 1844, Flood was a building contractor with premises in Dowling Street, Surry Hills, and had also acquired the schooner Marion Wave. In 1842, Flood, in partnership with Henry Perdriau, commenced the Balmain Ferry Service. He became Chairman of the Queensland Steam Navigation Company. His pastoral empire later included Narrandera station and large tracts of Pyrmont and Waverley in Sydney and the Clarence River, Lachlan, Maranoa and Warrego districts. By 1866 he had sold most of his Riverina property but still held 31 runs in New South Wales in 1871. In the 1860s he built Blackwall wool stores at Circular Quay and set up a wool-pressing business. Edward Flood was director of the Mutual Fire Insurance Association, a member of the Sydney District Council and a founder of the Sydney Mechanics’ School of Arts. He was appointed a magistrate in 1843 but was fined for striking JR Holden for calling the Councillors ‘idiots’. He was the director of four insurance and two mining companies, a trustee of the Savings Bank of New South Wales and a committee member of the Benevolent Society, the Society for the Suppression of Cattle-Stealing, and the Agricultural Society of NSW. Flood represented the North-Eastern Boroughs (Newcastle area) in the Legislative Council, between 1851 and 1856. He was elected member of the Legislative Assembly for North-Eastern Boroughs, 1856-57, for Cumberland (South Riding), 1858-59 and for Canterbury, 1859-60. He was a controversial Secretary for Public Works from 1 October 1859 until the Government fell on 26 October. He resigned from parliament on 13 January 1860. In December 1869 he was returned to the Legislative Assembly for Central Cumberland. He was defeated, possibly by the Irish vote, in 1872 and again in 1874 and refused to stand again. He was appointed to the Legislative Council on 7 October 1879. 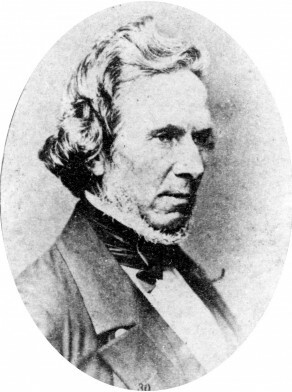 Edward Flood became the Foundation Councillor for Phillip Ward on 1 November 1842. He was elected Alderman in place of Robert Owen on 7 March 1843 and was a vocal member of Council until his resignation on 21 January 1847. He advocated the extension of the city franchise to all householders. He was re-elected for Macquarie Ward, 1 November 1848 to 2 August 1852. Flood was Mayor in 1849. R. W. Rathbone, ‘Flood, Edward (1805–1888)’, Australian Dictionary of Biography, National Centre of Biography, Australian National University, http://adb.anu.edu.au/biography/flood-edward-3541/text5463, accessed 17 January 2013.